Eye care professionals specialize in understanding how the human eye really works, as well as diseases and conditions that affect your vision – many of which do not have obvious symptoms. The eye doctors of Northwest Eye Associates know how age and risk factors affect vision over time for the young and old, and they understand the benefits and features of corrective lenses including eyeglasses and contacts. Our optometrist and ophthalmologist take the time to explain the results of your eye exam, describe your options and listen to your eye care needs. Because maintaining good eye health is an ongoing partnership, we encourage you to ask questions and share your health information, which could be vital to monitoring, diagnosing and treating potential vision problems. 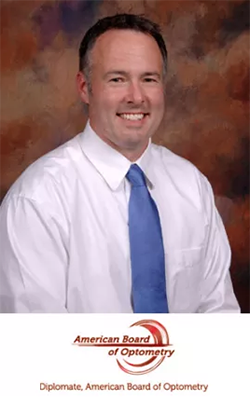 Dr. David Jones received his doctorate in optometry from Northeastern State University Oklahoma College of Optometry, Tahlequah, OK in May of 2002. Dr. Jones began practicing optometry for Dr. Don Diehl in Enid. He then took the position of Clinical Professor at the NSU Oklahoma College of Optometry, which focused on treatment and management of ocular disease and provided general optometric services. In 2007, Dr. Jones began working at TLC Laser Center in Oklahoma City and Northwest Eye Associates. He is now with Northwest Eye full-time. Dr. Jones grew up on a small farm and graduated high school in Wakita, Oklahoma. He graduated from Northwestern Oklahoma State University with a teaching degree in science and physical education. Before pursuing his doctorate, he taught junior and high school science and coached football, basketball, and track for three years in central Kansas. 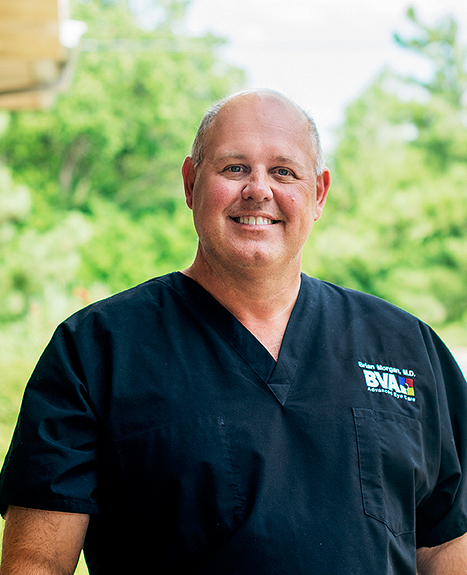 Dr. Brian Morgan specializes in treatment of the aging eye, including cataract and eyelid surgeries. Dr. Morgan serves pa­tients in Western Oklahoma and the OKC metro areas including the Woodward and Shattuck locations. Dr. Morgan has earned several academic honors and has been active in medical research. He has presented his findings on various eye disorders and diseases at the Jones Eye Institute and Dean A. McGee Eye Institute. Dr. Morgan maintains active memberships in the American Academy of Ophthalmology and the American Society of Cataract and Refractive Surgery.